Hot on the Scene Debut Release Party! Multi-Author New Adult Debut Release Party! Join me, Diana Gardin, Ara Grigorian, Kate L. Mary, Jessica Ruddick, Laura Salters, Annika Sharma, and Meredith Tate as we celebrate our New Adult debuts! We’re talking books, sports, romance, and whatever else comes to mind! Oh, and did I mention giveaways? YES!!! There will be giveaways! So, don’t miss out on the fun and come party with us on May 26th! 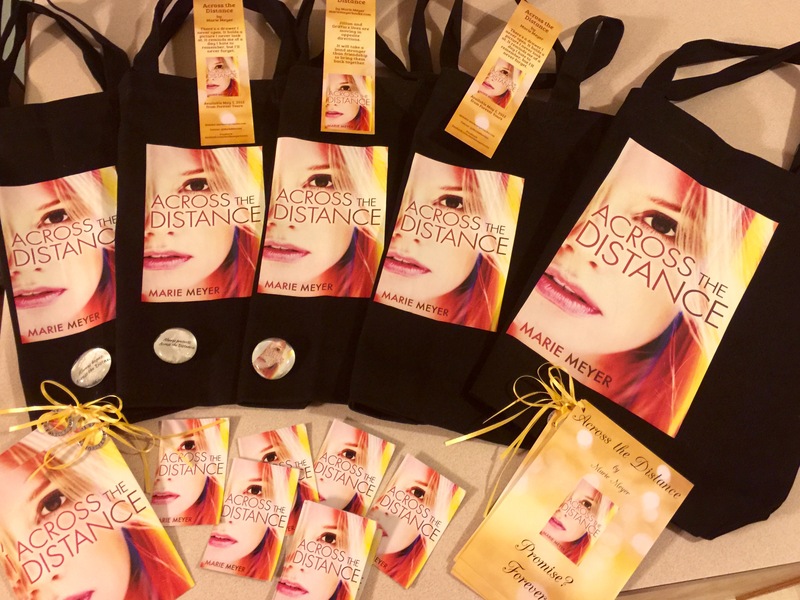 Here’s a sneak peak of the ACROSS THE DISTANCE swag I’m ready to give away!